Biloxi accused of running "modern-day debtor's prison." Qumotria Kennedy is one of the plaintiffs in the ACLU's lawsuit against the city of Biloxi. The city of Biloxi, Mississippi is being accused of running a "modern-day debtor's prison" by illegally jailing poor city residents who owe fees for minor offenses like traffic tickets, according to a federal lawsuit filed today by the American Civil Liberties Union. The lawsuit alleges that the city routinely issues arrest warrants to collect unpaid fees and fines and jails poor city residents "in a scheme to generate municipal revenue." Once arrested, residents are forced to pay the full amount of their debt to the city in cash or remain in jail until they are able to see a judge, which can often take days, the ACLU claims in the suit. "This lawsuit seeks to dismantle a two-tiered system of justice that punishes the poorest, particularly people of color, more harshly than those with means in flagrant violation of the Constitution," said Nusrat Choudhury, an attorney with the ACLU's Racial Justice Program in a statement issued Wednesday. According to Choudhury, Biloxi residents who owed the city money for criminal misdemeanors or minor offenses, were jailed without a proper hearing to assess their ability to pay and without being told they had the right to consult an attorney. If the plaintiff is indigent, an attorney should have been provided to them, Choudhury said. "Plaintiffs were arrested and jailed based on warrants that were sought, issued, and served without probable cause and with knowledge that the Plaintiffs' non-payment was due to their poverty," the suit reads. Additional defendants named in the suit include John Miller, the Biloxi police chief, Judge James Steele, a municipal court judge, and Judicial Corrections Services, a private probation company. The Biloxi Municipal Court building. In a statement issued Wednesday morning, Vincent Creel the public affairs manager for the city said they had not yet received the lawsuit. "However, based on media inquiries," Creel added, "we believe the ACLU is mistaken about the process in Biloxi, and we look forward to explaining it to the ACLU. 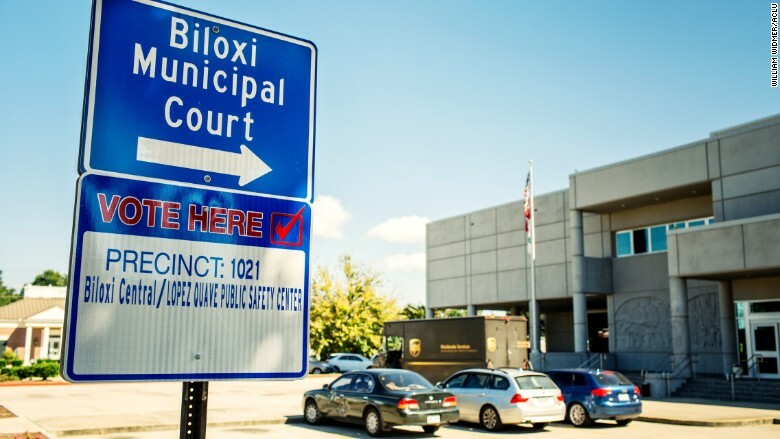 The City of Biloxi treats all defendants fairly under the law. In fact, the court has used community service in cases where defendants are unable to pay their fines." But that's not what Qumotria Kennedy claims happened in her case. Kennedy, who is among the plaintiffs in the ACLU's suit, is a single mother of two teenagers who earns less than $9,000 a year as a cleaning woman. After Kennedy spent three months struggling to pay the monthly fees, she was warned by her probation officer at Judicial Correction Services that she would be jailed if she did not pay, the suit claims. Without informing Kennedy, the Biloxi Municipal Court then issued a warrant for her arrest. In July, she was a passenger in a car that Biloxi police stopped for "running a stop sign" the suit claims. 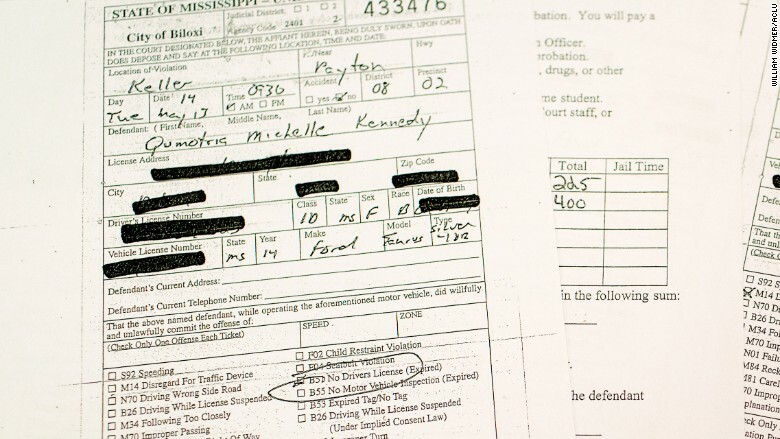 Kennedy's traffic tickets and paperwork regarding her fines. At the traffic stop the police checked Kennedy's name, found her outstanding warrant and arrested her. She was then jailed for five nights in a cell that court filings described as "very cold" and "smelled of urine," without having had a court hearing or having been informed of her right to an attorney. 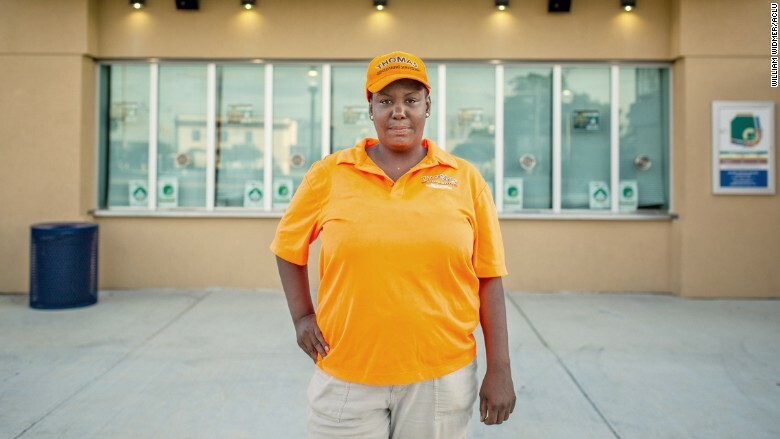 She lost her cleaning job for missing work while she was in jail. Kennedy currently owes $1,251 to the city for which she could potentially be jailed again, the suit says. "Being jailed for not having money was devastating," Kennedy said in the ACLU statement issued Wednesday. "I hope others don't have to suffer or be mistreated this way simply because they are poor. It's just not right." This is the third lawsuit the ACLU has filed in recent months, citing similar cases of local police departments and municipal courts preying on poor residents. Earlier this month, the ACLU filed a class action lawsuit against Benton County, Washington alleging that the county jails or forces work on indigent residents who cannot afford to pay fees and fines associated with criminal sentences. In January, the ACLU filed a federal lawsuit against DeKalb County, Georgia and Judicial Correction Services alleging aggressive and punitive debt collection practices against poor residents who could not afford to pay court fees and other fines. The parties reached a settlement in March that included informing judges on alternatives to incarceration for indigent defendants.